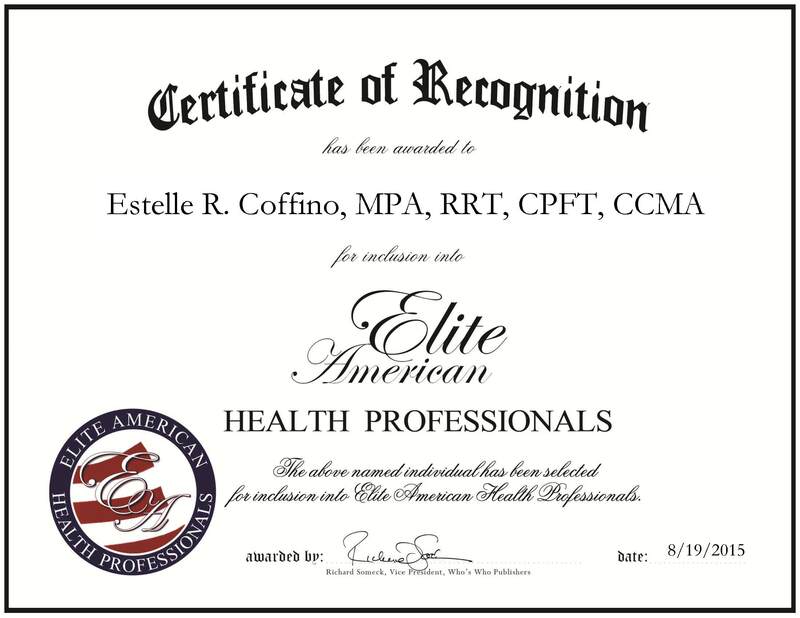 White Plains, NY, August 19, 2015, Estelle R. Coffino, Program Director and Chairperson of The College of Westchester, has been recognized by Elite American Health Professionals, for dedication, achievement and leadership in higher education. 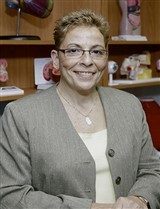 Ms. Coffino has 32 years of professional experience, with eight years as a program director and chairperson of Allied Health Programs for The College of Westchester. On a daily basis, she is responsible for handling administrative responsibilities, as well as teaching students, developing policies and syllabi, reviewing curriculum, interviewing students, and reviewing publications for several textbooks that are part of the University’s curriculum. Ms. Coffino designed two clinical laboratories and administration classroom settings for the students. Looking back, Ms. Coffino attributes her success to believing in what she does and having the intention of contributing to something that makes a difference in the lives of others. She became involved in her profession because she was going to school to be a gymnastics teacher and was selected to enroll into a respiratory health care program due to the fact that she did well in mathematics and science. Despite her dislike of blood and some of the physically revealing aspects of the profession, she took the class and developed an interest in the field. It was a natural progression from that point. After 30 years in health care, she wanted to give back and decided to pursue health care education. The highlight of her career was being named Employee of the Year in 2011. Ms. Coffino received a Master of Public Administration in health care administration from Long Island University and a Bachelor of Science in community health from Mercy College. In addition to her degrees, she is a Licensed Registered Respiratory Therapist with a certification in medical assistance. She is also a certified pulmonary function technologist and a certified CPR instructor. She maintains affiliation with the National Healthcareer Association, the American Red Cross, ECSI and American Medical Technologists. In years to come, Ms. Coffino would like to become the dean of the School of Allied Health, which is currently being developed. This entry was posted in Education and tagged administration, education, teaching medical professionals. Bookmark the permalink.